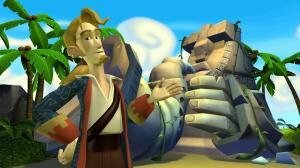 Tales of Monkey Island is good. It’s very, very good. And today it’s the owner of our Best Adventure of 2009 Aggie Award. Despite some noteworthy competition that could very well have won in any other year, Tales stood out from the rest for its achievements in every relevant area. With an epic storyline that blew away the standards of previous episodic series, a wide variety of creative scenarios, laugh-out-loud dialogue, and all the usual production qualities we’ve come to expect of Telltale, Tales consistently showed that the modern day franchise is in the right hands. With its 5-star apex in Lair of the Leviathan, there were inevitable ups and downs (both literally and figuratively), but there was never a dull moment, and no game more deserving of the top award we have to bestow. Even before this, 2009 probably would have been known as the Year of the Monkey for adventure gamers. 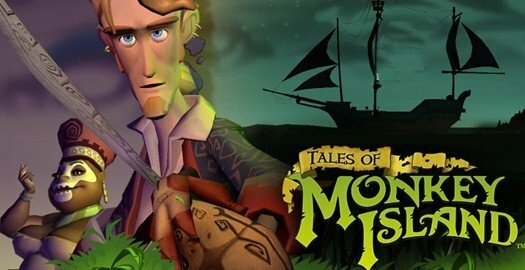 This time last year, Monkey Island seemed dead, but the surprise five-episode Tales rekindled our love for Guybrush Throwback and the gang, and is a deserving winner of the readers’ choice Game of the Year Aggie. Full props to the runners-up, too, as two indies rounding out the top three is a wonderful accomplishment for the small teams behind them. Runners-Up: Machinarium, Time Gentlemen, Please! And so ends the 2009 Aggie Awards. Still to come, a few administrative notes and a complete 2009 game list, but don’t forget to leave your feedback on all the choices we got right. Or wrong. But mostly right.